Norris: McLaren race pace "better than we anticipated"
Formula 1 rookie Lando Norris has admitted McLaren's race pace is "better than we anticipated" after an encouraging start to the 2019 season. Norris has qualified in the top 10 for the first two grands prix of his career as McLaren has surprised itself with its strong form at the opening races. The British driver failed to finish in the points in Australia and expected another tough grand prix in Bahrain - but deservedly claimed his first top-10 finish, benefitting from Nico Hulkenberg’s late retirement to take sixth place. 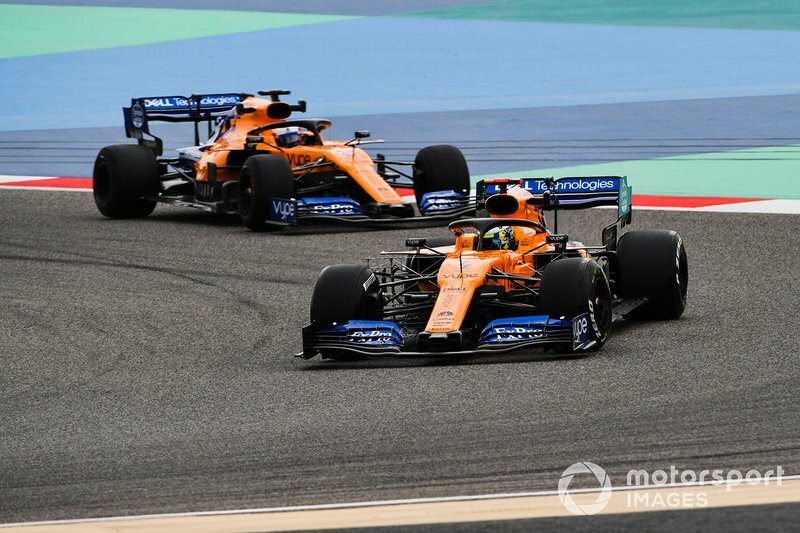 “Between qualifying and the race it’s definitely one of the strongest [race weekends for McLaren] for quite some time,” Norris said after Bahrain. “There’s still a lot of work to do to be consistently here and beating the midfield guys. “But our race pace seems better than we anticipated, we thought we were a bit better in qualifying trim than we were going to be today. Norris was under pressure from the Alfa Romeo of 2007 world champion Kimi Raikkonen in the final part of the Bahrain GP and admitted the late safety car “kind of saved me a bit”. He said his side of the garage “pretty much maximised” the result, but had sympathy for his teammate Carlos Sainz. 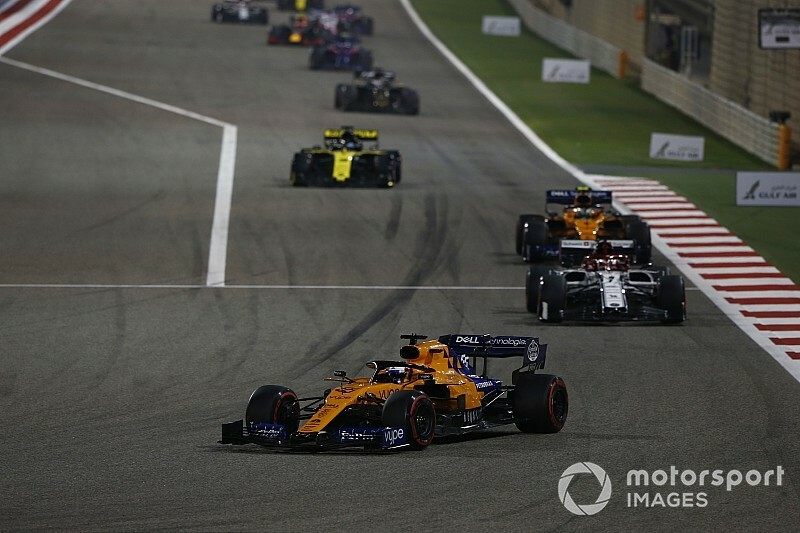 Sainz should have been part of a double-points finish for the team but suffered a puncture early on when battling Max Verstappen and later retired with a gearbox problem. “Carlos has a lot more potential than he’s shown,” said Norris after his team-mate’s second DNF in two races for McLaren. “He showed it in qualifying [Sainz started seventh] so he deserves to get points and be up where I was. “We could quite easily have had a double points finish. I don’t know if he was unlucky or what happened, but he was unlucky in Australia [where Sainz suffered an MGU-K failure]. “He didn’t deserve that. I’m sure he’s gutted to not get [to the finish in] two races, the first two where you need the confidence.